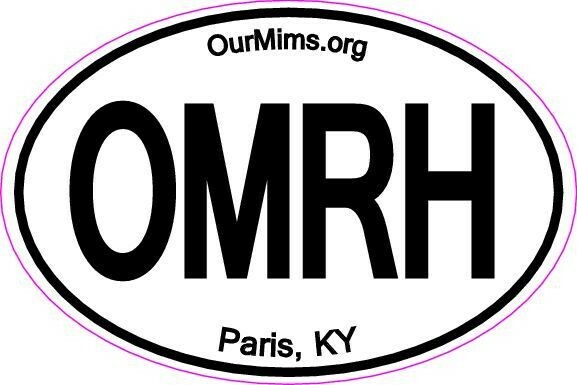 Let people know you've visited Our Mims Retirement Haven in Paris, Kentucky! Heck, even if you haven't visited the Haven, buy one and let people know you want to visit us! This 6"x4" sticker is high quality, weather resistant and can be applied to many surfaces, not just vehicles.